If you choose to conduct your ceremony at our Temple, catering services are also available. For information or to request a puja: please contact Temple office at 386-462-2017 or alachuatemple@gmail.com or call Saksigopal Dasa at 352-222-1440. Here in the west we have the unique circumstance of living in a culture within a culture as we follow Vedic traditions outside of India. We face the ever present forces of western culture which are not focused on service to the Lord. Therefore it is essential that we have activities that can transform the basic functions of living in this world into a spiritual activity that will help us to remember the Lord and progress back to His spiritual abode in this lifetime. While these samskaras are not the be all and end all of this process, they do allow otherwise common activities of our household life to become wonderful occasions for making spiritual progress. The process of purification begins at the conception of the child. This helps to establish the pure future of the child. Thus one may obtain intelligent, noble and pious children. This ceremony is to assist in the peaceful and happy state of mind of the mother. It is also used in seeking blessing for the child’s safe and healthy development. This ceremony is the first after the child’s birth. This ceremony seeks blessings of the demigods, forefathers and Lord for the newborn child. This is when the child is taken out of doors for the first time. The child receives the darsana or blessings of the sun and the first place the child is taken is traditionally the temple of the Lord. On an auspicious day the child should receive their name. It is explained that the sound of their name acts as a shield against any ill influences. This sound vibration of their name will follow them throughout their life and should be chosen wisely. This is performed as a sign of the child’s development and growth. Lord Visnu is asked to enter the child’s body as the fire of digestion. This fire is essential in developing a healthy body. Karna vedha: piercing of the ears and Cuda Karanam (cutting of the hair)…these two are generally performed together. They may be followed for both a son or daughter. Cutting the hair is said to prolong the life of the child. It also brings delight, prosperity, courage, happiness, strength, vigor and beauty. 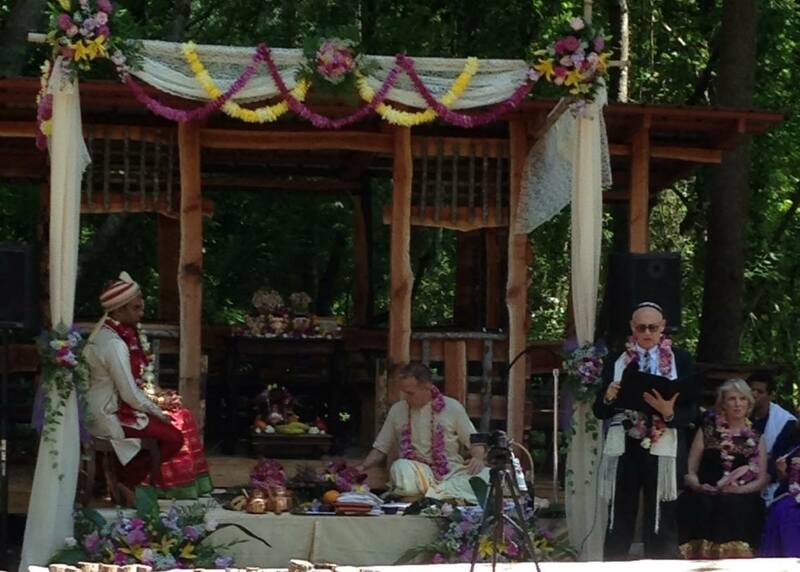 Upanayanam: gayatri initiation…this is a most important step in self realization. It is the key by which the path of devotion, meditation and knowledge are unlocked. Noted qualifications are seriousness, respect to elders and saints, humility and an eagerness to serve. Samavartana: graduation…this ceremony is observed to mark the completion of the child’s studies. The graduate is blessed with the sprinkling of sacred waters to signify completion of this step of life. Vivaha: marriage…this most important, sacred and religious act builds the relationship of the husband and wife on a basis of moral trust and spiritual respect. The word vivaha means to “uplift and maintain” and this ceremony is meant to assist the husband and wife in living peacefully and responsibly. Antyesthi: funeral rites…the final of the purificatory rites, it is performed to free the body from subtle attachment and assist the soul on the path back to the spiritual abode of the Lord. Avahana-homa: Invocation of auspiciousness…this is performed for the well being and generally peace and happiness of those participating in the homa. Grha-pravesa: blessing of a new facility (home, office building, etc)…this is performed to receive the Lord’s blessings on the new residence, office or other place and bring about safety, harmony and strength to the place. 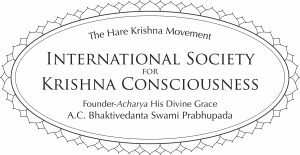 Sraddha-kriya: rites for the deceased…this function is offered to assist the soul in their progress toward the next life. This also bestows blessings and protection upon the family performing the rite. It should be noted that a homa (sacred fire) is usually the concluding act to any of these functions.